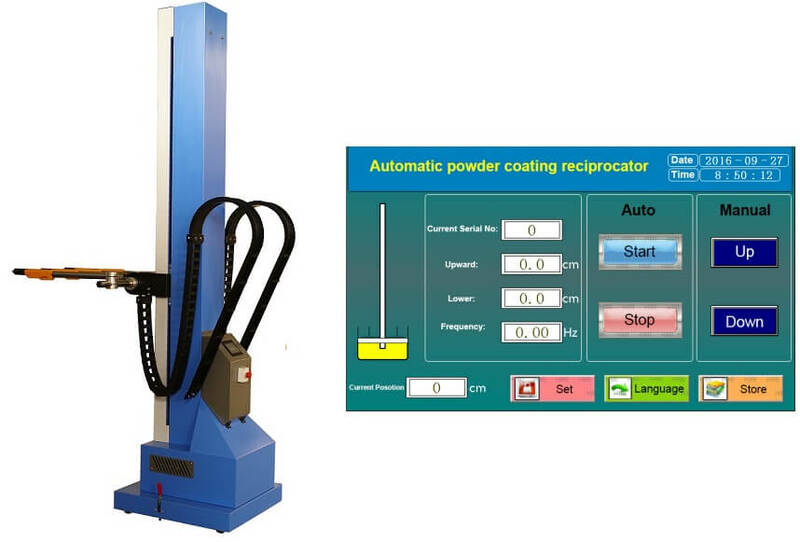 COLO-2200D PLC controlled powder coating reciprcator is newly designed by COLO 10 years experienced, applied in automatic line, it achieves perfect coating result. This reciprocator is electrically driven by belt through a frequency motor, controlled via PLC, giving much more gentle and precise motion comparing with normal reciprocators. · Increase powder coverage and reduce consumption. · Suitable for powder coating and liquid painting application in automatic line.